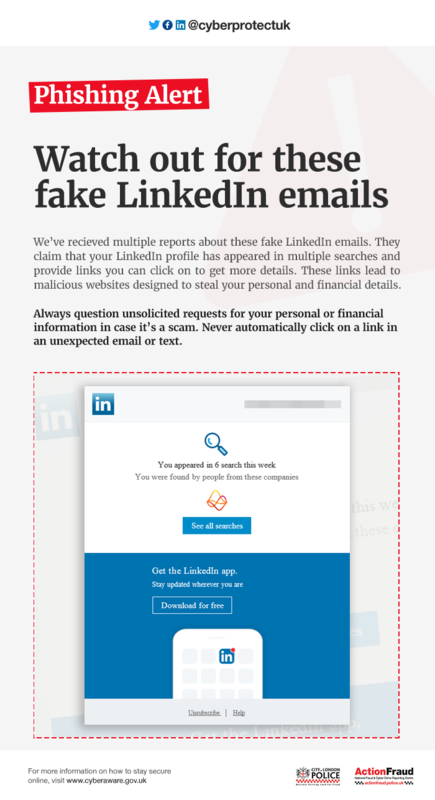 Multiple reports have been received about these fake LinkedIn emails. They claim that your LinkedIn profile has appeared in multiple searches and provide links you can click on to get more details. These links lead to malicious websites designed to steal your personal and financial details.